Community First is a four year £80m government-funded initiative aimed at providing local communities with the resources and support to come together to identify their strengths and local priorities in order to plan for their future and become more resilient. The Netherton, Woodside and St Andrews ward has been allocated £84,000 over four years to distribute as a part of this initiative. 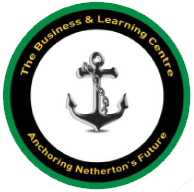 The Netherton Regeneration Strategic Group and Black Country Housing in partnership have been selected as the body to administer the funds and a local panel has been put together to oversee the process. Local Community Organisations can bid into for up to £2,000 per year. A wide range of local groups have already been successful in their bids and a list of those and their projects is included below.